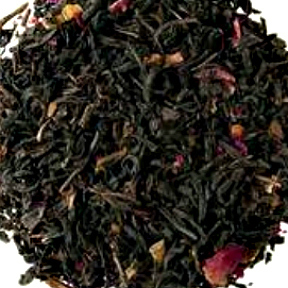 Black tea from China layered 5 times with deliciously scented rose petals. That's it. Not sprayed with perfumes or artificially flavored. The result is a refreshing cup of tea with the delicate and authentic taste of real roses. An unforgettable addition to an afternoon tea.